Posted on June 5, 2018 at 8:17 pm. Stir together all of the ingredients in a large bowl, mixing until well combined. 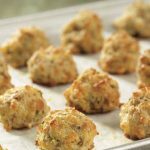 Roll the mixture into 1" balls; a tablespoon cookie scoop works well for portioning. 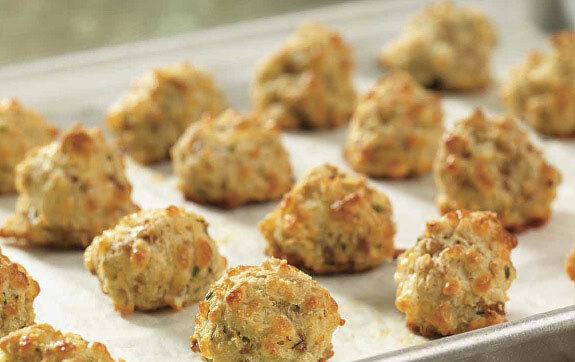 Place the balls onto the prepared baking sheet, leaving about 1" between them. Bake the bites for 18 to 20 minutes, until they're golden brown. Remove them from the oven, and cool slightly before serving. Store any leftovers in the refrigerator for several days; freeze for longer storage.